Put the mashed potatoes and salt into the pan with the melted butter over low heat. Add half of the confectioners' sugar. Allow the sugar to melt into the mixture. Next add the other half of the confectioners' sugar. Allow this as well to melt into the mixture. Now add the bag of coconut into the mixture. Mix all of the ingredients together. Put the mixture into a buttered baking sheet. Press down the mixture into the baking sheet with waxed paper. Leave the waxed paper on top. Allow the mixture in the baking sheet to set for about three days in the fridge. After three days cut the mixture in the baking sheet into small squares. 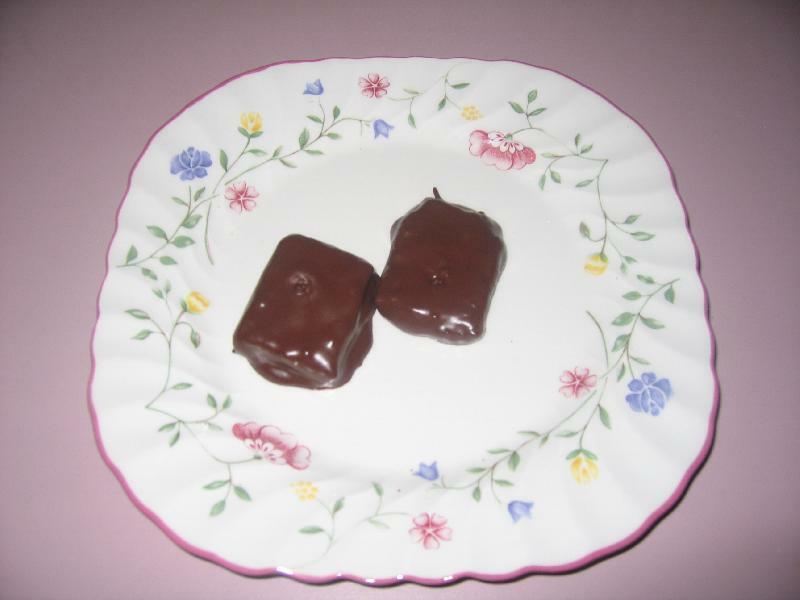 Melt the chocolate chips, 4 squares of unsweetened chocolate, and the 1/2 square of wax in a double boiler. When the mixture is completely melted together dip the squares using a toothpick into the chocolate. Place dipped squares onto waxed paper. Allow to cool.